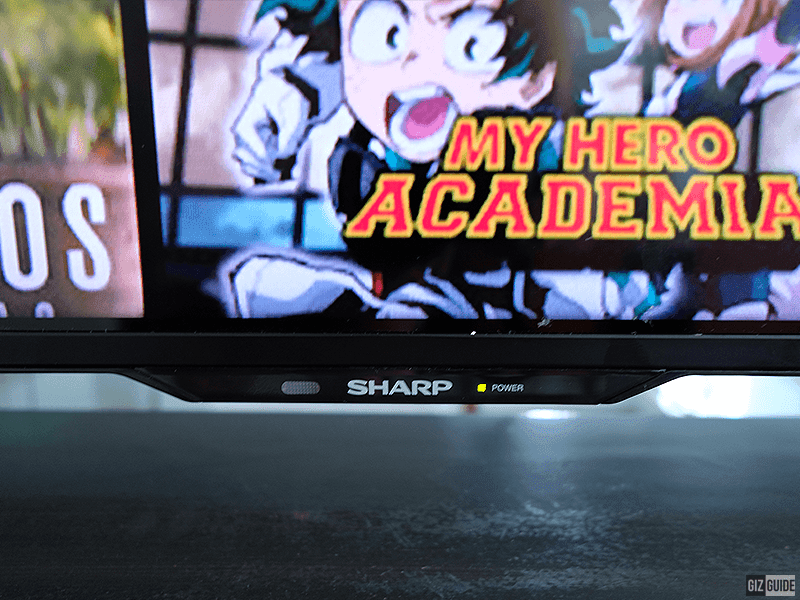 We look at the Sharp LC-60UA6800X 60-inch 4K HDR LED Android TV with built-in YouTube and Netflix. 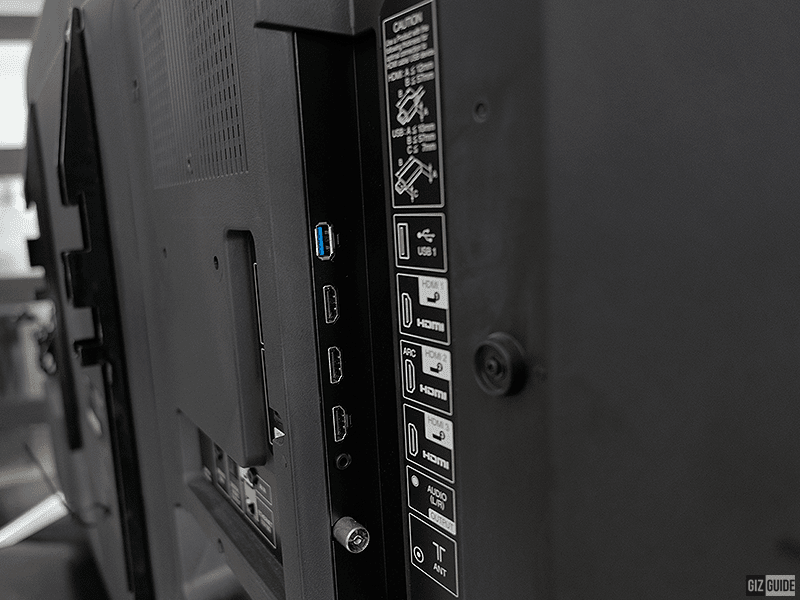 The LC-60UA6800X comes in at 86 mm hard polycarbonate frame around the 60-inch EDGE LED display with a resolution of 3840 x 2160 with HDR support. Display is illuminated via the diffusion of light from the LEDs that is lined along the rim of the panel. At the bottom, you can find the stands and in between them is a notch shaped protrusion that houses the sensors and Sharp branding. The stands themselves are silver painted polycarbonate outer shell with metal rods inside which allows it to carry the whole TV with minimal wobble. It comes with the DVB-T/T2 digital and analogue broadcasting standard which means it is compatible with the networks that are available locally. Inside is running on the unspecified Quad-core processor and X4 Master Engine Pro II with WiFi, Bluetooth, HDMI, ARC, 3.5mm headphone jack and USB 3.0/2.0. At the lower left side of the display is where you can find the power, channel up/down, volume up/down, exit and input buttons. 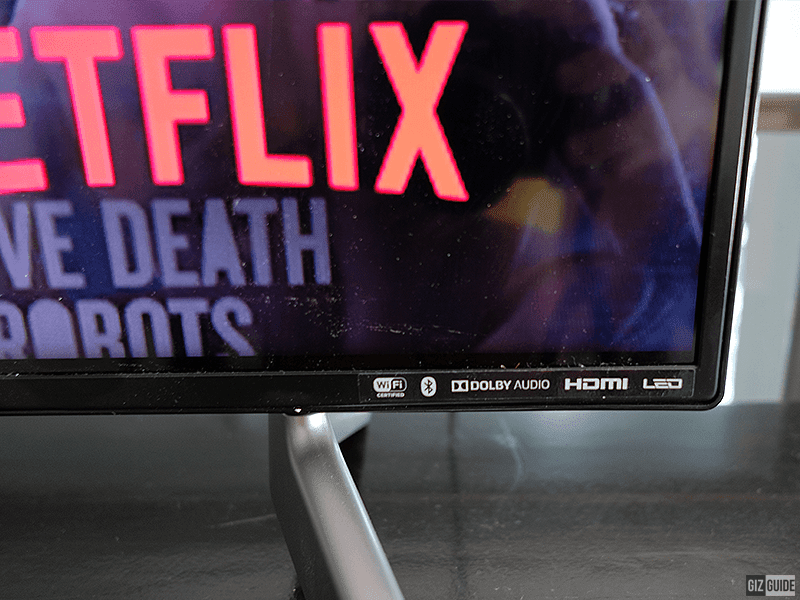 The OS is Android TV version 8.0 with the built-in Chrome cast, Netflix and YouTube. The panel produces bright and vibrant colors that you can adjust to your preferences. Netflix and YouTube automatically plays HDR versions of their content as soon as they detected that the Sharp LC-60UA6800X is compatible. 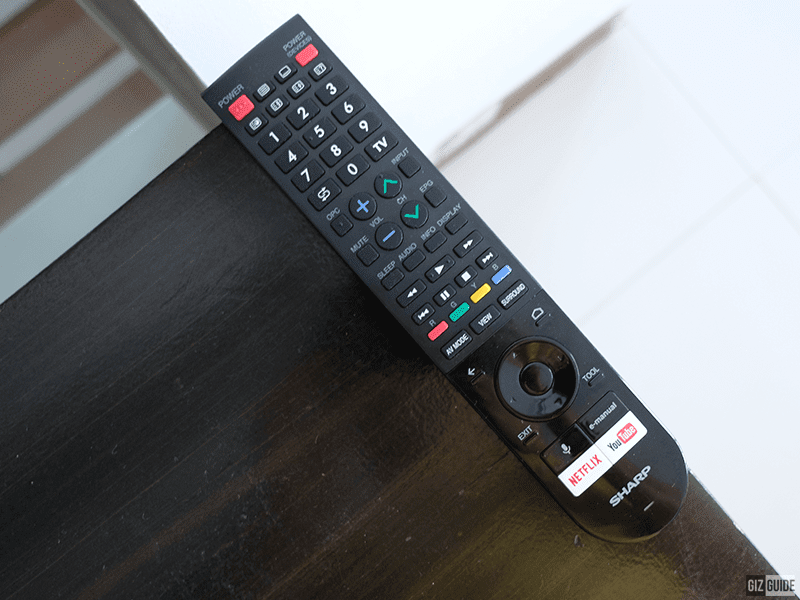 Along with the TV is the 8-inch remote that allows for control of power, channel surfing, volume control, input selection and the usual other controls. What makes the remote unique is the voice assistant, Netflix, YouTube quick access buttons. 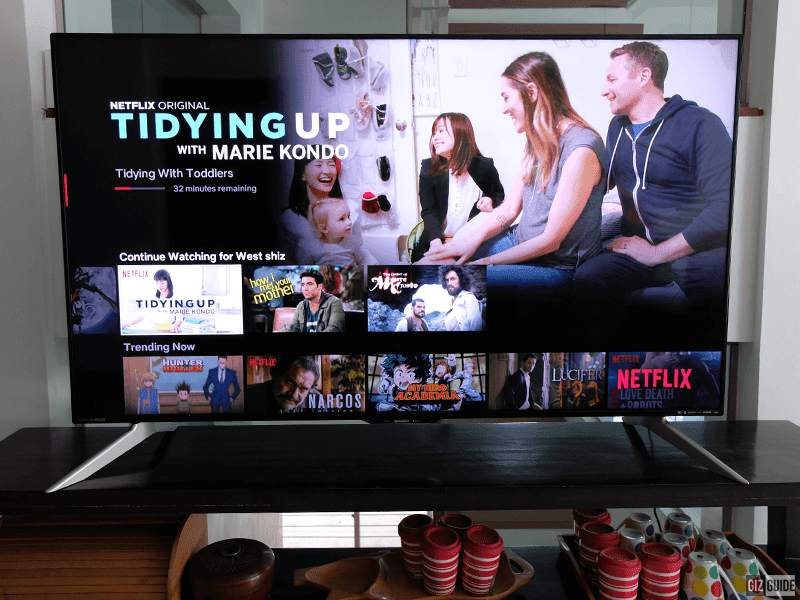 The LC-60UA6800X is not the slimmest 60-inch 4K HDR TV in the market, but it offers competitive features like built-in DVB-T/T2, Chrome cast, YouTube and Netflix along with the standard offerings of Android TV in the market today. The image quality of the panel is good with sharp images and vibrant colors though HDR can only be truly appreciated if the content supports it. 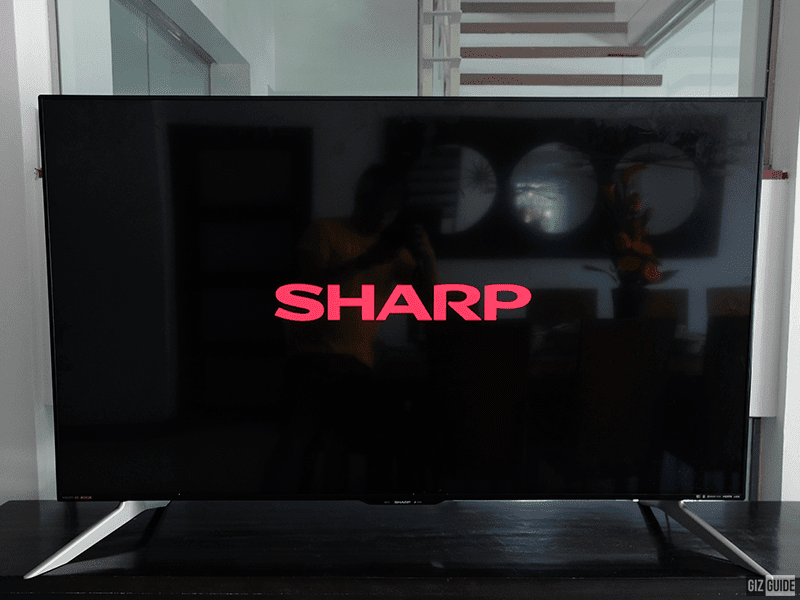 Should you decide to get this TV from Sharp, you wouldn't regret it.